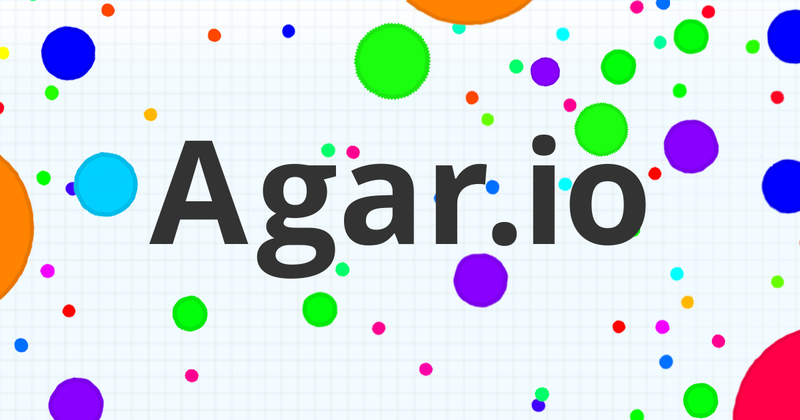 If you’re a long-time fan of Agar.io, you’re in for a treat. The Internet’s favourite web game is now in your mobile phones, taking the top spot in the App Store and Google Play. But if you’re just picking up the game for the first time, chances are you’re not going to get it right away. Most of this is instinctive — the more you play, the more you learn about the Agar.io universe — but here are some quick tips to get you set on your journey to the leaderboard. The point of the game is to get big. As a cell, the more you eat, the more you grow. There are inanimate coloured circles around that you can consider food,which are the greatest resource for growing when you first start out. The moment you get big enough, you can choose to eat players smaller than you, all of whom are in the same contest as you to grow so big that you get to the top of the leaderboard. Of course, once you get eaten by someone bigger than you, it’s game over. It’s pretty much like real life. The biggest fish in the pond has all the power to eat the little fishes. No one starts at the same time; some players have been at the game for hours before you began, so it’s not exactly fair. But neither is life — you just have to cope with it. You do, however, have some tools at your disposal: these are shown in the form of buttons on the side of your phone screen, or by hitting specific keys on your keyboard in the web version. This is the first tool that you get. When you eject mass, you end up creating a form of food, much like the multicoloured balls you see around you. However, ejecting mass will somewhat reduce your size. It’s great for making friends, feeding them to form alliances and then attacking other players together. Or if you’re big enough, you can send food to potentially lure in prey — doing it when you’re too small will put you at risk of becoming prey to bigger players. Ejecting mass can also be used to create viruses, a green spiky weapon which comes out once every seven ejections you make. They’re great for targeting large players, which will split apart when they come in contact with them. Think of splitting apart like sending your infantry into the war to take the kill. Your entire mass essentially splits into smaller units, which allows you to move faster. The action of splitting apart will also shoot out one part of you in the direction you’re facing, allowing you to attack and consume specific targets. This ‘attack ability’ also means that you shouldn’t feel too comfortable skirting around a large, slow mass. You’ll never know when they’ll choose to attack you, so it’s best to move out of the way, preferably diagonally from their being. You can do this as many times as you’d like, but it’s best not to split into more than 4 cells. Splitting your mass by half will make you vulnerable to attack, allowing larger players to eat up parts of you as you run. It is great in a desperate situation where speed is crucial, in which you can sacrifice a portion of your mass to escape instead of getting completely eaten up. As mentioned, you have the power to create viruses — green spiky balls that have the ability to split apart large players. That isn’t the only place to find viruses; they’re also scattered around the space. They don’t affect players with masses below 133, so it’s a great place for small players to seek refuge. This is the most annoying thing about the space. There doesn’t seem to be an end to the white grid, but there is. While there aren’t any demarcations showing where the end is, you can probably tell when the field of food seems to end, or if you find yourself warping against an invisible wall. If you’re still small — get out of there. Staying near the wall makes you easy prey for bigger players to eat you, and large players like to hang around the sides to wait for small prey to wander to them. The fun thing about Agar.io is the skins. True, you may not be able to customise your tool to look any way you wish, but there are some available skins that will make you look pretty good. My personal favourite? Obama. Because why the hell not? Here’s a full list of skins for your playing pleasure. While the mobile version is solely based on the FFA mode (free for all) where chaos runs rampant, you can’t miss out on trying the web version, where you can form teams and work with allies to get to the top of the leaderboard. Personally, I’m not a fan of dragging my finger raw against my phone screen to avoid getting eaten. A game that requires as much time and patience as Agar.io needs a proper mouse to do the dirty work for you. If you’re looking for a shortcut to winning Agar.io — there isn’t one. It’s a game about patience, persistence, and strategy. And even when you get to the leaderboard, the time you spend there matters. It’s not about getting to the top, but how long you can stay at the top. I don’t think there’s a more apt representation of life than that.